Used Conn/Dillon CC tuba in raw brass, no case. Custom built by Matt Walters. 20" upright bell, 37" tall, and 4 front action pistons of .687" bore with right thumb operated flat whole step 5th valve of .807" bore. Bell and bottom bow came from a Conn Monster Eb tuba with special engraving. The rest of the horn was built from all NEW PARTS in 2005. 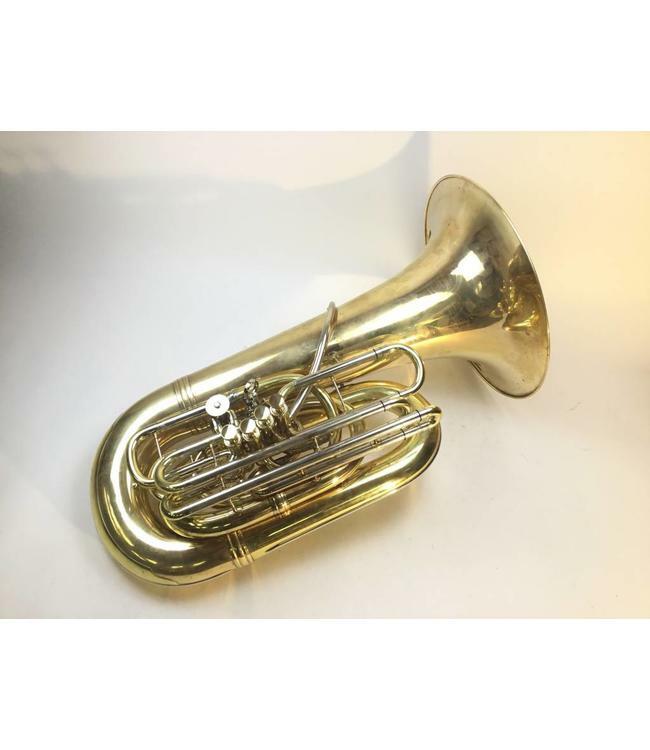 Just completed a few minor upgrades and now this small 5/4 - ultra 4/4 tuba is ready to find a new home.